In this week’s Roundup, we recap a wild ride for bitcoin which saw price swings of close to $3000, mention a few of the coins who gained the most during the latter half of the week’s rebound and discuss unflattering words from top banking executives employed by the U.S. Federal Reserve and Central Bank of Europe. 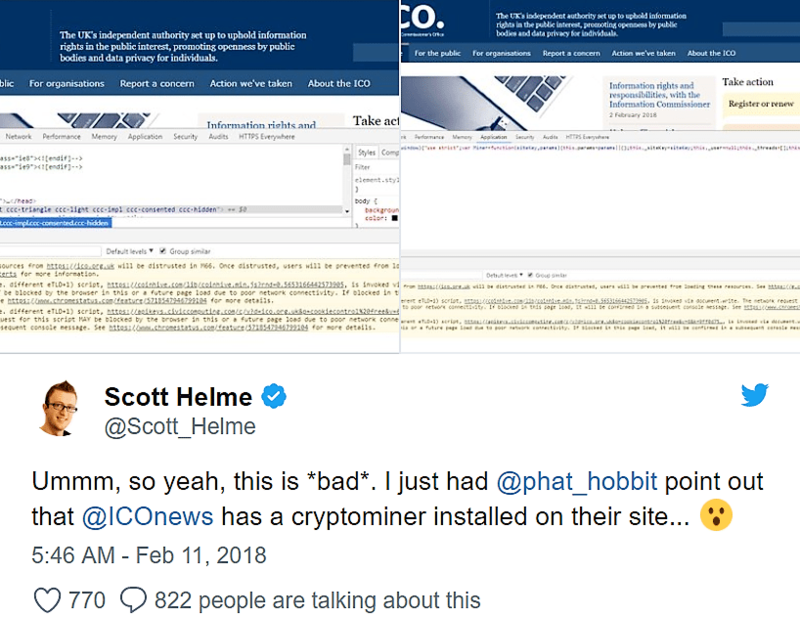 We also feature a review of international, unauthorized mining fiascos that happened over the last week and finish with a surprising revelation of what Tether means to China. The price of bitcoin capped off a rather turbulent week by ending up 6.5% over the last 7 days, at around $8500 a coin, but not before sinking to a low of $5922 on February 5th. Through most of the week, Wall Street analysts openly pondered on the correlations between a sinking crypto market and a sinking stock market. Many came to the conclusion that last week’s selloff on Wall Street, the biggest in 2 years, was actually foreshadowed by a decline in the crypto market, in which financial institutions sold off experimental investments to enter more traditional, “risk adverse” investments. For the first time in its notable history, bitcoin was regarded as a “precursor” to the overall health of the stock market last week, signifying it to be firmly cemented in the mechanics of Wall Street in 2018. In what may spell the ending of the crypto bubble burst, money began to flow back into second and third tier coins later in the week, many of which saw double digit gains over the past 48 hours. Among the biggest gainers were Ripple (XRP), Bitcoin Cash (BCH) and Bitcoin Gold (BTG). The movement of big money back into altcoins is an optimistic sign for traders who had feared a complete meltdown of the crypto markets. 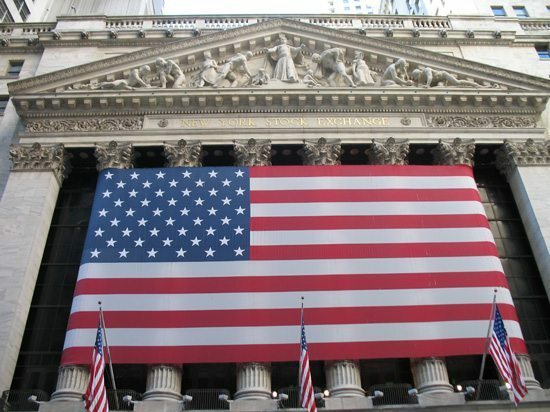 All eyes will be on the stock market this week as the S&P 500 index tries to rebound from losses close to what is considered correction territory. Perhaps the most spectacular 3-day rise of a cryptocurrency ever also occurred last week, as next-gen project U.Cash (UCASH) went on a wild ride from less than half a cent per coin to an astounding $0.23, before settling back down to $0.12 a coin. U.Cash, which obtained exchange listing on Friday, literally became a billion-dollar enterprise over the weekend, with the coin’s market cap surpassing the billion dollar mark on Sunday. This placed the little-known newcomer in the spot of 25th biggest altcoin, rocketing up from nothing to NASDAQ company valuation in approximately 48 hours. Regardless of the doom and gloom scenarios frequently bespoken by finance industry titans and analysts, the crypto markets will continue to attract investors looking for astonishing returns rarely experienced in any other asset class. In either a move of preplanned coordination or just by random coincidence, senior economists working for central banks in New York, Minnesota and Europe all issued statements this week largely dismissive of the future potential of bitcoin. In America, the Federal Reserve is expected to raise interest rates further this year to curb worries of inflation – a move that also has the potential to curb investor enthusiasm in the stock markets, and by association, the crypto markets. Interest rates were cut to near zero during the Great Recession years of 2008-2010. Since then, the stock market has enjoyed a rather straight climb upward as federal banks purchased huge sums of U.S. treasure bonds at a premium, in effect flooding the stock market with cheap money. Under the leadership of Ben Bernanke, a full-blown depression was avoided, but many were left wondering what consequences these “capital injections” – fueled by Bernanke’s quantitative easing program – might have on the economy down the road. In New York, a senior vice president of the Federal Reserve Research and Statistics Group published a blog article that said bitcoin would be of better use in “a dystopian world without trust,” where the government was no longer able to function as a worthy creditor. In such a reality, a mathematically-driven, decentralized program like bitcoin could be handy for the settlement of transactions. However, the article contends that because the government and banking establishments are already trusted by the public, bitcoin is not necessary, as it offers a solution to a problem that does not need to be solved. The article also noted that convenience and ubiquitousness of cash gives it the upper-hand among consumers. Russian scientists were busted mining bitcoin using one of the country’s most powerful supercomputers, located at a research facility long thought to be one of the USSR’s top nuclear labs. Though not much information has been released, the attempt by the scientists to use the computer’s 1 petaflop of processing speed to mine bitcoin was described as “bungled” by Russian officials to the local interfax news agency. The lab was responsible for producing contents for Soviet warheads tested during the cold war era and is in the middle of a once “top secret” city, whose inhabitants still face severe travel restrictions. The USD-pegged Tether (USDT) is now being examined in China as well as the United States, where it is currently the subject of a government investigation and audit into claims that Tether has enough cash on hand to back each Tether with $1.00, per the company’s legal requirements. Tether saw an explosion of use in China after the country banned cryptocurrency trading with the yuan in 2017. Since then, Chinese traders have used Tether to skirt the law, resulting in its explosion in popularity since last fall. Tether’s insolvency or dissolution by court mandate could have a significant impact on China’s ability to invest in cryptocurrency, as bitcoin trading using the yuan plummeted from 20% of all trades to less than 1% over the course of 5 months.